Webinars, classes and teleconferences, oh my! Want to stay up-to-date on the latest best practices, tips and tricks in online marketing, but you don't have a lot of time to attend live events or conferences? Well, we've got great news for you! We'll be launching a series of live and on-demand events in January and February that are designed to make your job easier. Whether you want to dial into our weekly Q&A sessions to ask a question, listen in on one of our webinars, attend an upcoming Twitter party or roll up your sleeves for our DIY Web Site Boot Camp, we've got an event for you! Want to stay in-the-know about the latest online marketing, SEO, content strategy and inbound marketing tips, tricks, best practices and recommendations? Or get the chance to win free prizes and receive discount codes for our marketing services? 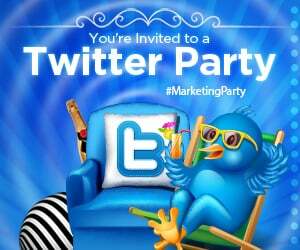 Join us for our monthly Twitter parties at the #MarketingParty hashtag. RSVP with your Twitter handle, then follow and tweet with the hashtag #MarketingParty this Monday, December 15th from 4:00 to 5:00 CST. The topic of this month's party is The Top Ten Tips for Effective Business Blogging. Do you want to get the latest tips, tricks, best practices and recommendations about online marketing, SEO, content strategy, inbound marketing and more? And be entered into drawings for free prizes and discount codes? RSVP with your Twitter handle, then follow and tweet with the hashtag #MarketingParty this Thursday, November 20th from 12:30 to 1:30 CST. The topic of this month's party is How to Develop a Solid Marketing Strategy that Gets Results. You only need to RSVP once in order to participate in this party or future parties. We'll let you know when each month's party will be held. You can participate using your Twitter handle and your favorite software for tweeting—but remember you can only be eligible to win prizes if you register in advance! Learn more or RSVP now. P.S. Contact us if you need help getting your own social media channels set up or managing your social content.